Trinity has a proud tradition of inspiring those who study and work within its walls to challenge norms and think creatively. Many of those who have walked through Front Gate have gone on to make a big impact in their disciplines. This is a small selection of those trailblazers. Tania has a background managing creative organisations. She was the first Director of Theatre Forum, the representative body for theatre and the performing arts. She was one of the founders and then Secretary of the National Campaign for the Arts for three years. She was also Chief Executive of Screen Producers Ireland, the national association for TV, feature film and animation production companies. 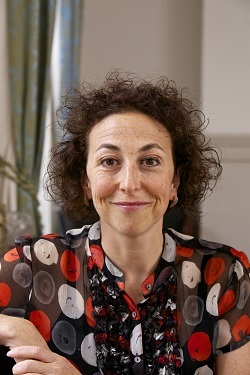 Tania Banotti is Director of the Creative Ireland Programme. Tania previously worked as CEO of the Institute of Advertising Practitioners of Ireland (IAPI) the professional body for creative and media ad agencies. After years of working in public relations and the arts, Audrey set up Ketzal Blanket in 2017. Inspired by her father’s gift of a blanket to ward off the inevitable homesickness of a fresher starting college, Audrey created a collection of exquisite personal blankets that can hold feelings of care and affection and become treasured reminders of a special person or place. The blankets and throws are made from the softest, most luxurious Alpaca wool. Audrey works with Ireland's top hotels to create bespoke blankets that become treasured souvenirs and the products also retail online. Entrepreneur Dr Ciara Clancy worked with people with Parkinson's for a number of years before founding Beats Medical. Beats Medical is a digital therapeutics company which provides therapies for people with neurological conditions including Parkinson's DIsease and children with developmental conditions in partnership with Vhi. Ciara completed her undergraduate and Ph.D. in Trinity. Her entrepreneurial work has been internationally recognised including selection as the Laureate for Europe in the Cartier Women's Initiative Awards, Forbes 30 Under 30 and a finalist in the EY Entrepreneur of the Year Awards. Kathryn Dane started playing rugby at U8 level with Enniskillen RFC, playing with the boys’ teams up to U12s. With no underage girls rugby setup to join in Fermanagh she focused on soccer, playing for Northern Ireland up to U19 level. At school in Enniskillen Collegiate Grammar she was captain of the hockey team as well as the team which won the Ulster Tag Rugby Schools Cup on four occasions. Having resumed U18 rugby with Ulster and Enniskillen RFC it was the oval ball that won out in the end. Dane advanced into the Ulster senior team, winning the Ulster Women’s Player of the Year award. A move to Dublin to take up a scholarship studying Physiotherapy in Trinity meant a shift of clubs and Dane started playing with Old Belvedere. She earned her first Ireland senior cap in February 2019 when she was named among the replacements for the Women’s Six Nations opener against England. In the same month she was awarded a first Test start in the Women's Six Nations game against Italy. Professor of Geography, Environment and Society at Trinity, Anna Davies, won the highly prestigious Irish Research Council Researcher of the Year award 2018. She is the Director of the Environmental Governance Research Group, PI of the ERC project SHARECITY and a PI within the SFI Spoke ENABLE. Anna is a Governing Board member of the International Science Council, the European Roundtable on Sustainable Consumption and Production, the Future Earth Systems of Sustainable Consumption and Production Knowledge Action Network and The Rediscovery Centre . She currently advises the Irish Government as a member of the National Climate Change Advisory Council. Widely published, Anna has produced more than 100 peer reviewed papers, books, chapters, digital media shorts, exhibition installations and policy reports. 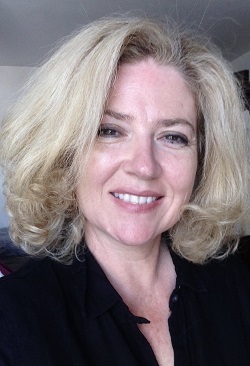 Sally Hayden is a freelance journalist and photographer reporting on migration, conflict, humanitarian crises and human rights across Europe, Africa and the Middle East. She has worked for outlets including VICE News, the Washington Post, BBC, TIME, Newsweek, ELLE, Al Jazeera, the Guardian, Magnum photos, RTE, the Irish Times and CNN. 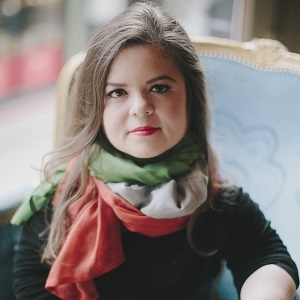 She won first prize in the European Migration Media Awards last year, as well as the 'Foreign Coverage' award at the Newsbrands Irish Journalism Awards, for her reporting on Syrian refugee returns, Boko Haram in northeast Nigeria, and smuggling routes through Sudan. She was also a finalist for the Amnesty International Gaby Rado award for best new journalist, and was listed as one of Forbes‘ ’30 Under 30’ for media in Europe, 2019. In February 2018 Telecommunications provider Eir appointed Carolan Lennon as its new chief executive. She is the first female chief executive of the telecoms group and previously held the title of managing director of the networks and wholesale division where she was instrumental in delivering strong revenue performance and improved customer service. 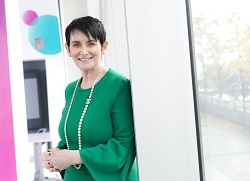 Prior to joining Eir in 2010, Ms Lennon held a number of senior roles in the telecommunications and technology sectors, including consumer director and marketing director at Vodafone Ireland. She is currently a non-executive director of AIB Group. Niamh holds a B.A. (2007) and M.Sc. (2014) in Botany from Trinity. During her time in Trinity she served as the Secretary and Captain of the Trinity Surf & Body Boarding Club and sat on the D.U.C.A.C committee. After graduation Niamh joined Accenture Ireland’s Graduate programme as a SAP consultant. It was here that she combined her passion for the environment with corporate life and led Environmental Corporate Social Responsibility. She devised and launched a successful ‘War on Waste’ Campaign which was recognized globally by Accenture and facilitated the reduction in use of single-use items such as disposable cups and educated employees about key environmental issues. She became a Climate Ambassador in January 2018 and was awarded a prestigious ‘Climate Hero Award’. Last year, Niamh moved to a new workplace in Medtronic and hopes to empower her colleagues at Medtronic to be more aware of the challenges to our planet. She believes CSR has such massive potential to create opportunities for positive discussions and actions on climate change in our communities, workplaces and beyond. 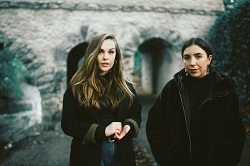 Saint Sister are a duo from the North of Ireland. Since forming in 2014 the band have quickly established themselves as one of the most talked about bands in Ireland. 2014’s 'Madrid' was a breakout success, playlisted on BBC Radio1, RTE and across European radio, enabling the band to tour extensively around Ireland, UK and Europe. Festival highlights at Glastonbury, Electric Picnic and Latitude and support slots with The National, Lisa Hannigan and Hozier have secured their reputation as a phenomenal live band. Critically acclaimed, the band have won support from key tastemakers at NPR, The Guardian, The Independent (UK). At home they were voted the best band in Ireland by the readers of The Irish Times, and nominated for the Choice Music Prize song of the year in 2016. In February 2018 the band were asked to perform at the Imagining Ireland series in The National Concert Hall and The Barbican in London. On the 5th of October the band released their debut album 'Shape of Silence' to rave reviews and the band embarked on 50 date world tour, across the USA, Australia, Europe, the UK and Ireland. 2019 sees’ the band nominated again for Choice song of the Year as well as the prestigious “Album of the Year”. They return to the USA in May for a month long North American tour. After playing Tess Halpin in 160 episodes of RTE’s soap, Fair City, Sabina Brennan left television to attend Trinity as a mature student. She is a psychologist and researcher. 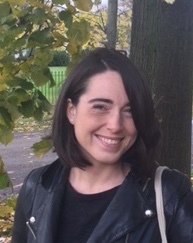 Dr Brennan’s research is on understanding dementia risk and protective factors to establish how decline in cognitive function might be prevented or delayed after being inspired by her experiences with her own mum's dementia. Her research was short-listed for the prestigious 2017 US-Ireland Research Innovation Award. She is now working on ways to help underprivileged children bolster their cognitive skills early in life using specially designed colouring and activity books. people shaping fashion, culture, politics and technology. She most recently featured on Vogue’s list of 25 women shaping 2018. Dylan Collins is co-founder and chief executive of SuperAwesome whose kidtech is used by hundreds of brands and content-owners to enable safe, digital engagement with over half a billion children every month. The company employs 120 people and has offices in New York, LA, Singapore and Sydney. Recently ranked by the Financial Times as the fastest growing technology company in the UK, it is backed by a number of top investors including Hoxton Ventures and Mayfair Equity Partners. Frieda Gormley is co-founder of print-based design store House of Hackney. 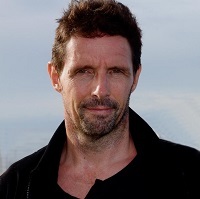 Gormley grew up in Dublin and Spain and studied law in Trinity. She began her career as a buyer in Dunnes Stores before moving to London to work for Topshop. Frieda, together with her husband, Javvy M Royle founded House of Hackney around a kitchen table in 2011. The company opened its first retail store in 2013 and in 2015, House of Hackney was approached by the William Morris Gallery with the brief to reimagine William Morris for a new generation. The brand is now stocked in partner stores worldwide and its flagship store is in Shoreditch. Aisling Hassell leads Airbnb’s global customer experience operations, focused on making every element of the guest and host experience on Airbnb a memorable one. She also acts as Site Lead for Airbnb’s European headquarters in Dublin, its largest base outside of the US. She leads two locations with over 450 employees, across growing teams from Customer Experience to Trust & Safety. Aisling joined Airbnb in 2014, after a global career leading customer strategy and experience in technology, communications and software innovators. 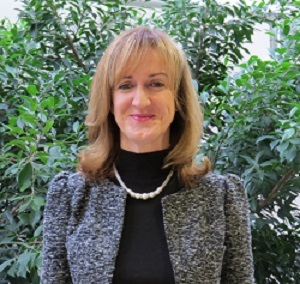 In her 25-year career, Aisling has been director of global customer experience and web strategy at Sage, Group Head of Customer Experience, Vodafone and VP of Customer Experience at Symantec in the US. Hal Hodson is a technology correspondent at The Economist. Previously, he worked at New Scientist for three years in Boston and one year in London. At New Scientist, Hal wrote about internet policy and economics, robotics, arti?cial intelligence, infrastructure and biotechnology. He has reported widely from international locations including Bolivia, Mexico, South Korea and Finland. 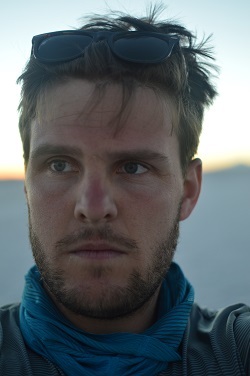 Hal graduated from Trinity in 2010 with a degree in astrophysics. Niall McKay, M.A. (1989) is a journalist, writer and ?lmmaker, curator and advocate. Co-Founder of the production company Media Factory, he is a shorts programmer for the Tribeca Film Festival and currently directs and curates Irish Screen America, a screening series and festival that runs in Los Angeles and New York. As a journalist, he has been featured in The New York Times and The Economist, but it’s his work in the medium of ?lm that has earned him the most recognition. In 2008 he was awarded an Emmy for his documentary Sikhs in America. 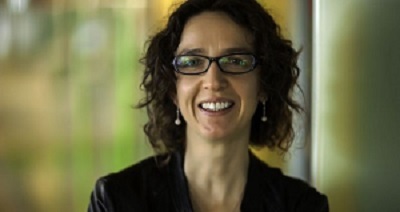 Fionnuala Meehan is currently Vice-President of Global Marketing Solutions EMEA at Google & Head of Google Ireland. 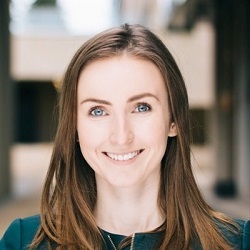 Fionnuala joined Google in 2005 and has worked across a variety of roles, from operations through to sales, as the EMEA business continued to grow and scale. Today, as VP of Global Marketing Solutions, she leads a pan-EMEA team which helps hundreds of thousands of small and medium sized businesses to market and sell online - a true engine of economic growth. 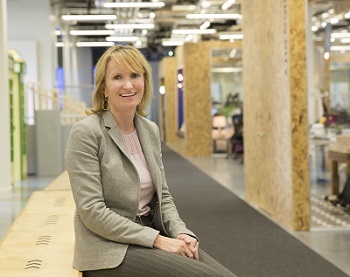 In addition, Fionnuala is Head of Google Ireland, home to Google’s EMEA headquarters, a diverse innovation hub of over 6,000 people from 70 countries. In December 2016, Fionnuala became the first woman leader appointed to this role. 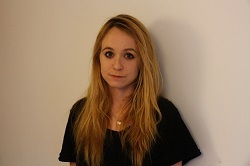 Fionnuala holds a BA in European Studies, History, Politics & Languages from Trinity College Dublin. 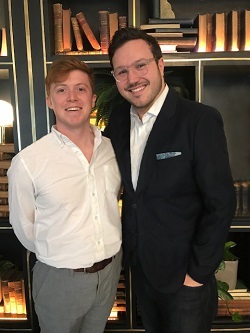 Zach Miller-Frankel and Neil Dunne are the Founders of Andrson, a digital music platform that uses predictive analytics to connect unsigned artists directly to music industry executives. The two met in Trinitones and together opened the Dublin outpost of Miller-Frankel’s New York City-based management ?rm. They designed Andrson to sit at the intersection of operational ef?ciency, artistic passion, and technological practicality. The platform transforms the music discovery landscape via pioneering technology that offers a truly bespoke, user-focused digital platform. It combines proprietary audio AI with live metrics and in-depth user input to bridge the $2 billion gap in new music monetisation. To date, they have secured partnerships with a “big 3” record label, several management agencies and over 5,000 artists. Sarah Mortell holds a B.A. in Economics and Political Science and is also a graduate of the BESS Class of 2016. During her time at Trinity, she served as President of The Phil, the world's oldest debating society. Sarah is currently Director of The Forum at Web Summit, a gathering of global decision-makers in Lisbon. 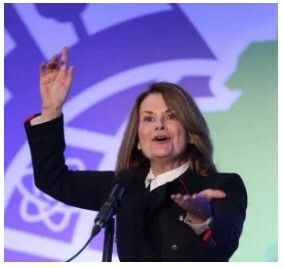 Sarah has addressed the Portuguese-US Chamber of Commerce and the Annual Diplomatic Congress of Portugal on the future of technology and governance. 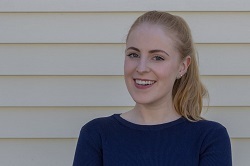 Sarah was recently awarded a prestigious 2019 Schwarzman Scholarship at Tsinghua University in Beijing. She was one of 142 Scholars who were selected from over 4,000 applicants. Professor Lorraine O’Driscoll at Trinity’s School of Pharmacy & Pharmaceutical Sciences was awarded almost €4 million Horizon 2020 funding in 2017 for a programme entitled “Training in Extracellular vesicles for benefit in Health and Disease”. In 2012, she was elected to Fellowship in Trinity. At post-doctoral level, she gained experience at the Dana-Farber Harvard Cancer Institute and University of Miami, as well as leading research studies for industry. She has been a Principal Investigator on 5 cancer clinical trials with the All-Ireland Cooperative Oncology Research Group/ Cancer Trials Ireland. Professor O’Driscoll is Strand Leader of the Irish Cancer Society-supported BREAST-PREDICT; Director of H2020-funded TRAIN-EV and Principal Investigator and Chair of the H2020-supported European Network Cooperation in Science and Technology focussed on Exosomes & Microvesicles in Health & Disease which brings together researchers from 27 European countries, 3 US universities, Australia and 7 industry partners. Many of her graduates now hold key roles in industry, academia or clinics. Louise O' Neill is from Clonakilty, in west Cork and has a BA in English Studies from Trinity and a post-graduate diploma in Fashion Buying from DIT. 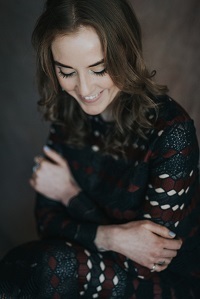 Having spent a year in New York working for Kate Lanphear, the senior Style Director of ELLE magazine, she returned home to Ireland to write her first novel ‘Only Ever Yours’ which won the inaugural Young Adult Book Prize and the Sunday Independent Newcomer of the Year at the Bord Gais Energy Irish Book Awards in 2014. Louise went on to win the Bord Gáis Energy Book of the Year award for her second book, Asking for It, in 2015 which became one of the best-selling books in Ireland in 2016. Film rights to both novels have been sold. Her third novel, Almost Love, is out now. The Surface Breaks, O’ Neill’s reimagining of the Little Mermaid, will be published in May. 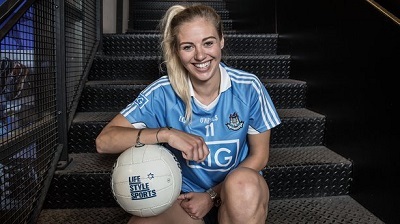 Nicole Owens recently appeared in the RTE documentary ‘Blues Sisters’ which charts Dublin’s All-Ireland season in 2017 culminating in a 4-11 0-11 victory over Mayo. When she first took up football Owens was the only girl in a group of 50 boys in nursery age-group at St Sylvester’s GAA club. Despite wanting to quit after the first training session at nursery age she persevered to become an All-Ireland winning footballer in 2017. She graduated from Trinity College Dublin with a Sociology and Spanish degree. 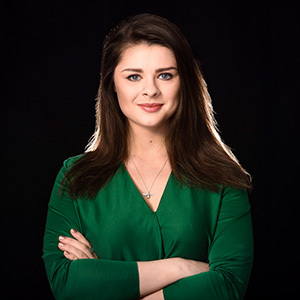 Nicole is an experience designer at Connector, an award winning open innovation studio, developing strategies and designing experiences for Irish and global brands. Trinity Ph.D. candidate in the School of Biochemistry and Immunology Shauna Quinn and her team emerged victorious from a citizen science competition run at the League of European Research Universities (LERU) Doctoral Summer School after proposing ‘Letswakeapp’ – a project that will poll citizen scientists to bank the right alarm tone on an individual basis so as to ensure a good wake-up experience. The project was awarded first prize by a panel of experts that also comprised Secretary General of LERU, Kurt Deketelaere. The prize included seed funding to continue the project, with a pilot study already mooted for Dublin in 2018. 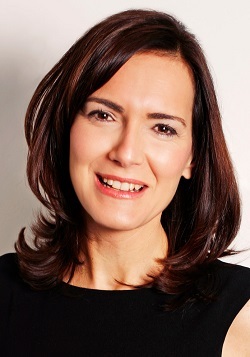 Alice Ryan is Head of Insight and Planning for Global Brands at BBC Worldwide in London. She grew up in Ranelagh before studying Business and French in Trinity followed by a Masters in Economics from the London School of Economics. Alice’s role in the BBC involves understanding and segmenting audiences, working out what they do or don’t like about content and using these insights to create content that appeals to as many people as possible. She has worked on a diverse range of programming including David Attenborough’s Blue Planet II which was the highest rated consolidated TV programme of 2017 in the UK. Pauline Turley set off for New York after completing a B.A. in Drama and Theatre Studies from Trinity. 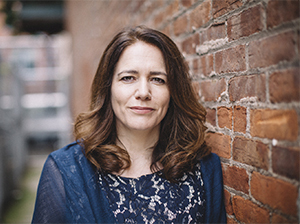 Originally she planned to spend six months in the U.S. but twenty years later she is the Vice Chair of the Irish Arts Center and based in New York. Pauline focuses on capital fundraising for the Center and, together with Executive Director Aidan Connolly and Honorary Chairs Gabriel Byrne and Liam Neeson and fellow Board Members, has raised more than $58 million to build a new Irish Arts Center. The new Center will break ground in the spring of 2018 and the official opening is anticipated for 2020.